As always, the 2019 PGA Merchandise Show in Orlando proved to be an incredible event. The Orange County Convention Center was packed with innovators who are changing the way we play, practice, and love golf. Every moment was a reminder of all the possibilities golf has to offer. Nevertheless, for Todd Kolb—Director of Instruction for the Sanford Power Golf Academy and USGolfTV—one of the week’s most inspiring experiences was a day spent at Four Seasons Golf and Sports Club Orlando. . . on a golf course surrounded by live oak trees and protected wetlands. Naturally, the reputation of the Four Seasons precedes it. 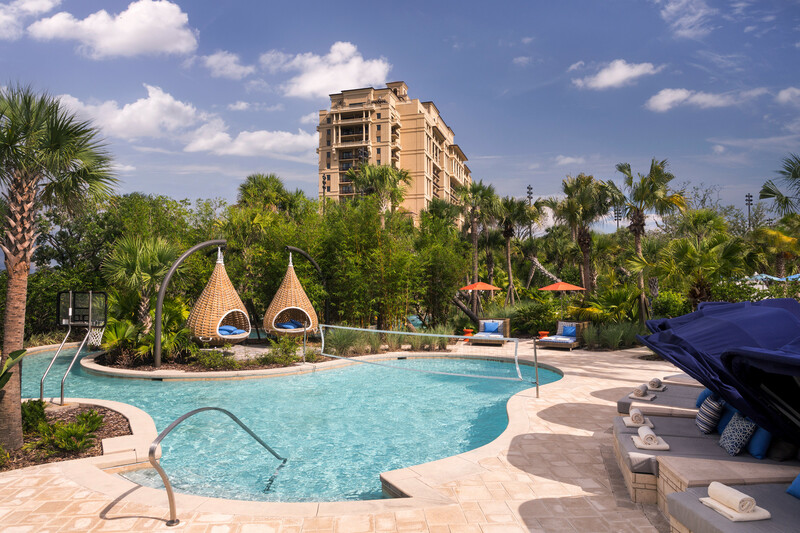 With its proximity to Disney theme parks, Four Seasons Orlando manages to both accommodate for families and offer a relaxing vacation experience for those traveling without kids. 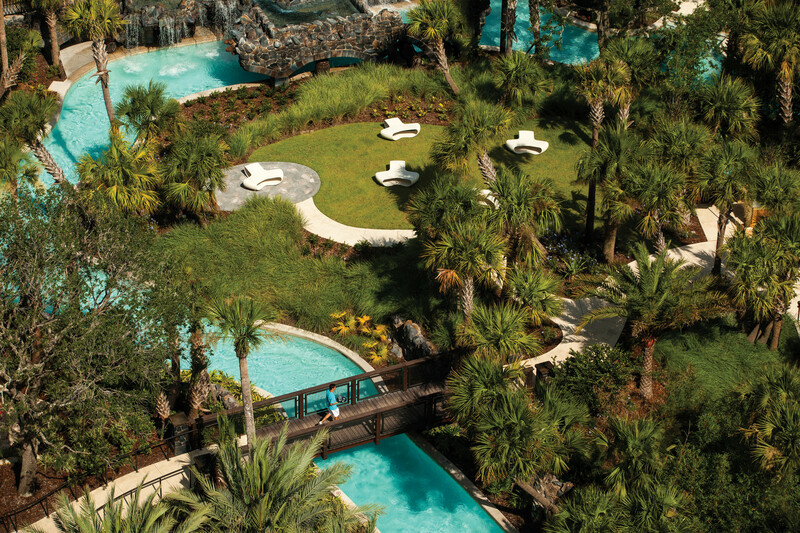 From the Disney Character Breakfast and complimentary child care, to world-class dining and luxury spa, it’s no wonder Four Seasons is Central Florida’s only AAA Five Diamond Award property. As golfers, however, we are all about the Four Seasons Golf and Sports Club, home to the Tranquilo Golf Course, a secluded course every bit as peaceful as the name would suggest. Before entering the electric buzz of another great PGA Merchandise Show, Todd found the perfect location for indulging in the game itself. Legendary golf course architect Tom Fazio has said “golf courses should reflect the natural beauty of their environments.” Nowhere is this philosophy more apparent than in his design of the Tranquilo Golf Course. READ ALSO: WHAT IS SPEED SYSTEM GOLF? In fact, Tranquilo is a Certified Audubon Sanctuary, promising more than the human-designed beauty we expect in a course. When you play at Tranquilo, you play in a state of serene seclusion, surrounded by woodlands and wildlife, seemingly miles away from the world outside. As all golfers know, there is no better way to play the game, and how often do we get to truly enjoy golf as if nothing else exists? When Todd identifies Tranquilo as a worthy challenge for the highly skilled golfer, he means it. In fact, the golf course recently hosted the LPGA Tour’s 2019 Diamond Resorts Tournament of Champions. 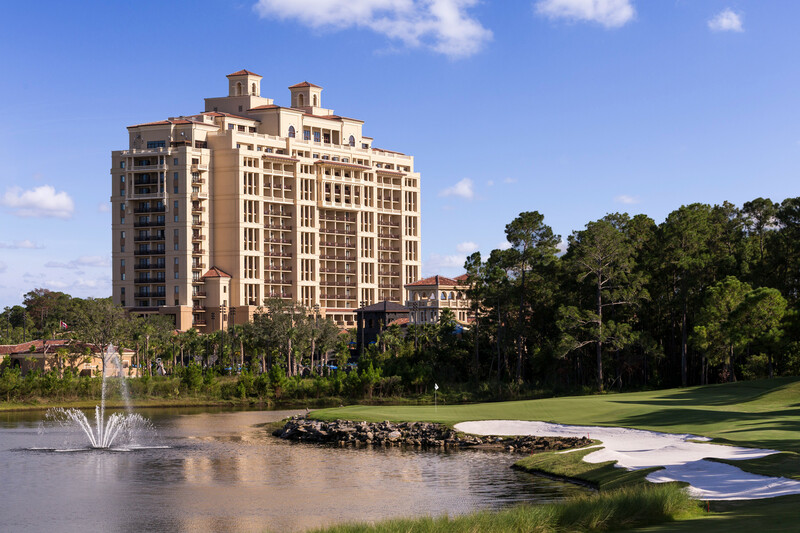 Winners of the 2017 and 2018 LGPA seasons joined together at the Four Seasons in Orlando to compete for 1.2 million dollars. The other aspect of the Four Season’s Golf Club that appeals to serious and weekend golfers alike? A state-of-the-art practice facility and expert instruction. Can I Play the Four Seasons Golf Course? Private instruction in a one-on-one or group setting. On-course playing lessons by way of a half-round of golf with Director of Golf Instruction Rod Cook. Short game evaluation by Rod Cook. You may have caught on that the mastermind behind much of this instruction is Rod Cook. As an accomplished golfer in his own right, Cook’s made quite a name for himself in golf instruction. In addition to winning more than twenty professional tournaments, he has served as the Head of Golf Instruction for the Four Seasons Resort and Club Dallas at Las Colinas and Head Golf Professional at the Four Seasons Resort Costa Rica at Peninsula Papagayo. Now, in addition to his role as Director of Instruction for Four Seasons Orlando, Cook is on the advisory board for both Bobby Jones Apparel and Titleist. Speaking of feeling at home, let’s talk about the Four Seasons experience for those who’d rather relax into their game than analyze and improve it. You can easily kill a day at the Four Seasons Golf and Sports Club, even if you decide to skip the practice facilities. At the clubhouse, you can take a seat and take your time relishing the Cuban-American cuisine served up at Plancha. As well, the pro shop is fully stocked with the most trusted brands in golf. And if you’re looking for a comprehensive athletic experience, check out the Golf and Sports Club. It features a 24-hour fitness center, basketball and volleyball courts, three Har-Tru tennis courts, and even an adults-only pool. 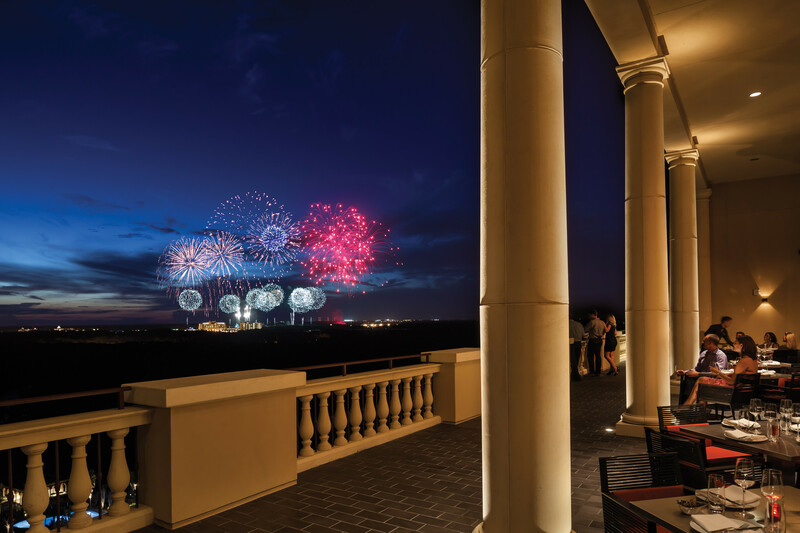 So no matter how serious you are (or aren’t) about golf, Four Seasons in Orlando is the ideal setting. That can include indulging, exploring, or even advancing in the sport you love. Escape the noise. Tee up. And enjoy.